← JOHN MENADUE. We all owe a lot to great teachers. DAVID BOOTH, JOHN TURNBULL. The backflip over Sydney’s marine park is a defiance of science. 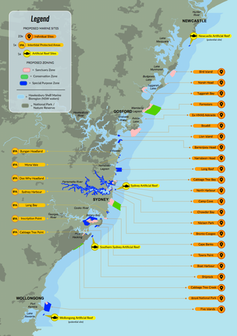 Premier Gladys Berejiklian’s press releaseabout the marine park public consultation didn’t mention the environmental threat posed by fishing at all. Yet there is clear evidence that fishing directly harms fish stocks. This article was published by The Conversation on the 21st of September 2018. David Booth: Professor of Marine Ecology, University of Technology Sydney. John Turnbull: UNSW.